Pix was taken this year over Toronto, Canada. I served as SB7 in 1978 to 1980. Great memories and an unforgettable tour. I am now retired and loving my Vette. I think economics will continue to put the demand on the Tutor for a few more years. Last edited by Kev4; 09-26-2015 at 10:48 AM. "An Internet troll is someone who comes into a discussion and posts comments designed to upset or disrupt the conversation"
The best way to deal with an individual like this is to ban them. Not just for Air Force Guys, I like watching the Thunderbirds, too. When I was in NFO training at Pensacola the 'Birds were doing a show at Eglin so they did a practice show at P'cola right after the Blue Angels did one. That was a treat. OP: thanks for posting. I'm an Army guy, 21 years, but respect all the services. Great photos. Who is AF retired.He's 85.I stepped on it and he seemed to enjoy it. Thanks for the pic's and your service. If you have suggestions for the improvement of the Forum, questions or criticism of the Forum or its moderation, you are welcome to PM or e-mail a moderator. Please do not use an open thread for such messages, however. That would include, but is not limited to discussions about who has been banned and why. The work on the Forum's volunteer moderators is difficult enough without having folks calling them out in open threads. The issue has been dealt with. Sorry. Let my anger get the best of me on this one. Many thanks to you guys (especially Zymurgy and Steven Bell) who have supported me in my small attempt to give a little support to the USAF. Many, many years ago the Air Force changed and shaped my life, and I'm so glad I did those four years. My nephew Capt. Matt Morris led a flight of 4 F-16's at the air show. He is a member of the Capitol Guard. I am a USAF vet and am proud of all who have served this great country. 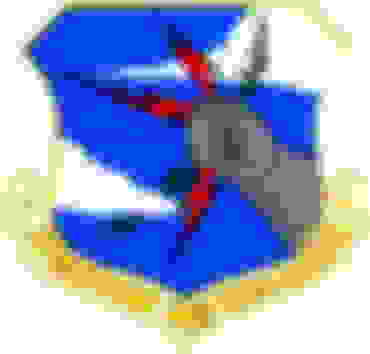 USAF 1969-1997. 27 yrs 10 months 8 days. Loved every bit of it, including the 11 yrs overseas. All Ammo (Munitions Maintenance). Love your car and your post, TBRDS. What year(s) did you fly with the Snowbirds? I was a Buff pilot at Fairchild AFB, WA back in 1983 and finagled a ride with Lead Solo during one of their Airshows at Fairchild AFB, WA. All I remember was his first name, Stephan. I have his full name and pics (with him and my young daughter) somewhere in my memorabilia.. ha..